Credit: Lynne Schepartz & Tobias Houlton, University of the Witwatersrand. 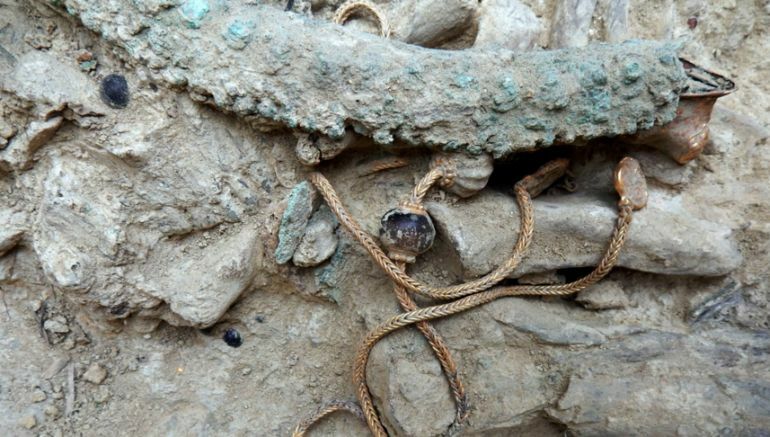 Heralded by the Greek Ministry of Culture as the “the most important tomb to have been discovered in 65 years in continental Greece”, the 3500-year old Mycenaean ‘Griffin Warrior’ grave found in Pylos (in October, 2015) was filled with over 1,400 precious objects. 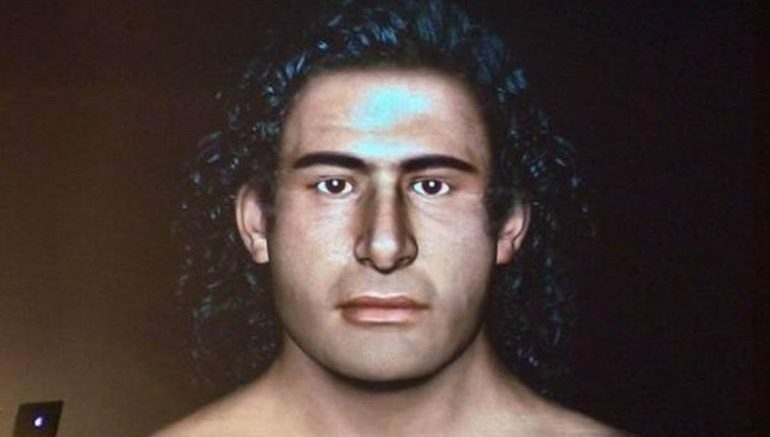 And now researchers from the University of Witwatersrand of Johannesburg have reconstructed the face of the presumably renowned warrior male with the aid of a depiction on an ancient seal discovered inside the tomb. The Mycenaean Greek warrior in question here pertains to a male between 30 and 35 years of age. This moniker of Griffin Warrior comes from the fact that archaeologists had also found two artifacts in the grave that portrayed the legendary griffin – which was a symbol of authority in both mainland Pylos and Minoan Crete. 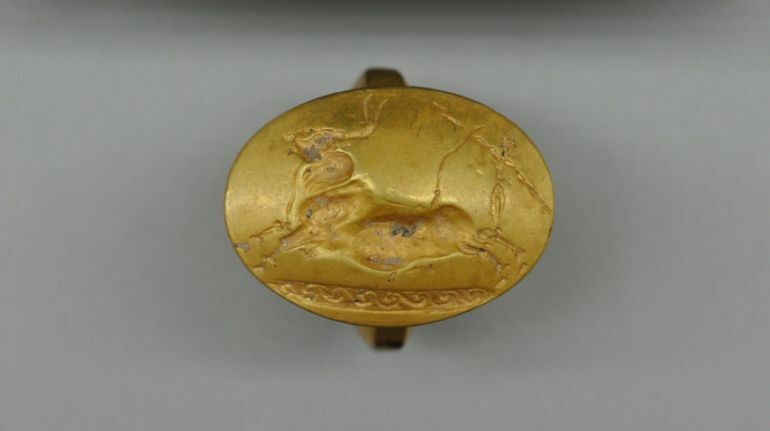 The ambit of power was obviously complemented by opulence, as is evident from the further discovery of four solid gold rings that have helped the researchers to shed analytical light on the Early Mycenaean funerary ritual, gender association with grave goods, and even the burial structure for eminent individuals. And since we have brought up the warrior ‘nature’ of the tomb occupant, the male was accompanied by some regal specimens of war-craft, like an exquisite sword made of bronze with an ivory-engraved hilt draped in gold, being placed near the head. This is followed by a gold-hilted dagger, while more weapons were laid by the legs. The nature of these artifacts are not only rich in value but also in craftsmanship – as is evident from the etching of an intricate griffin on a plaque made of carved ivory (kept between the man’s legs). This was once again accompanied by a bronze mirror with an ivory handle and ivory combs. As for the flurry of precious objects, the 5 ft deep, 4 ft wide and 8 ft long tomb boasted various vessels made from metals like solid gold, silver and bronze. These were accompanied by gold pendants, necklaces and the aforementioned rings, along with beads of carnelian, amethyst, jasper and agate. But oddly enough, the archaeologists had not found any evidence of conventional ceramic vessels – almost as if the use of regular ceramic in the tomb decoration was beneath the Griffin Warrior’s status. Now relating to the scope of the discovery, the fascinating excavation project was undertaken by archaeologists from the University of Cincinnati. The researchers originally located the grave near the Palace of Nestor, with the site being known for its relation to Homeric legends and apparent sacrificial offerings on its beach. In Greek mythology, the legendary Nestor of Gerenia was the king of Pylos, an Argonaut, and also a senior member of the Achaean Greek force that invaded Troy. However, in this case, the archaeologists had confirmed that the treasure-filled tomb in question is not of Nestor. In fact, in chronological terms, the Griffin Warrior’s tomb predates the (probable) lifetime of Nestor by almost 300 years. 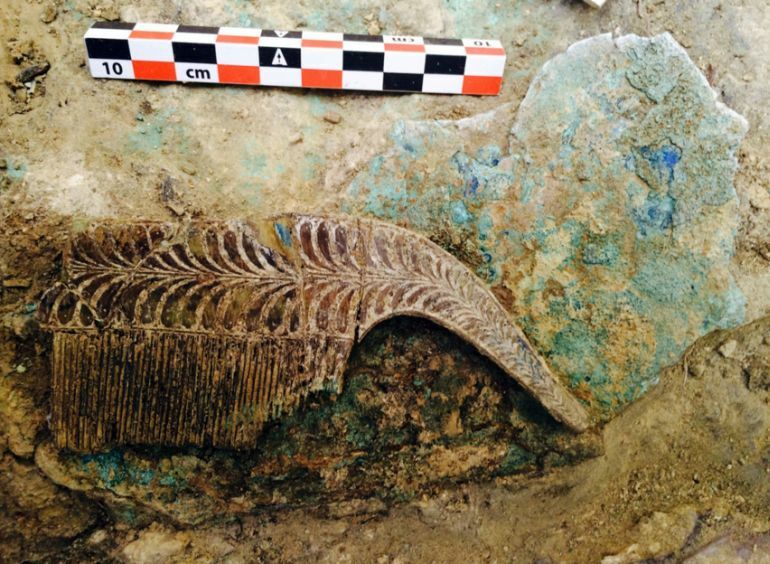 To that end, the timeline of this grave coincides more with a period when mainland Greece had closer contacts and trade relations with the island of Crete and its burgeoning populace. Incredibly enough, many of the ritzy artifacts and jewelry items were actually made in Minoan Crete, and thus showcase a distinct Minoan style of art that was relatively unknown in mainland Greece circa 15th century BC. 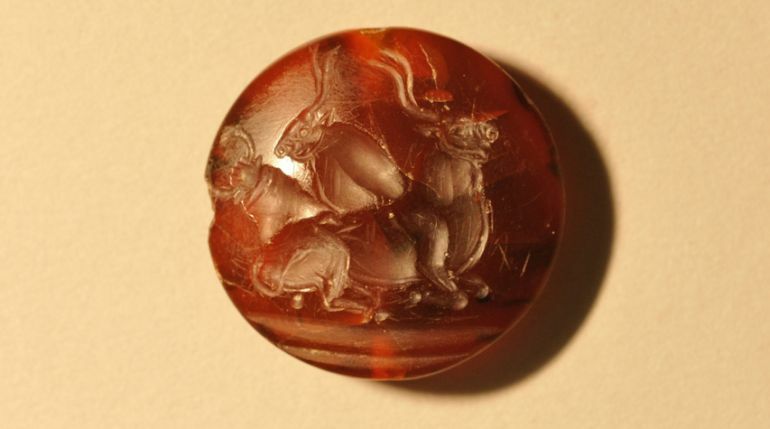 These objects are further complemented by around fifty seal-stones that depict Minoan goddesses and the renowned motif of bulls (which gave rise to the legend of the Minotaur). Whoever he was, he seems to have been celebrated for his trading or fighting in nearby island of Crete and for his appreciation of the more-sophisticated and delicate are of the Minoan civilization, found on Crete, with which he was buried. Courtesy of University of Cincinnati.